THe Black Widow II is a 6V6GT version of the Origonal Black Widow. With a single gain control this little guy is another high gain unit with a tighter and punchier sound than the Origonlal black widow. African Mahogany holds this amp with red LED back lighting. Many options available. Contact me for more information. 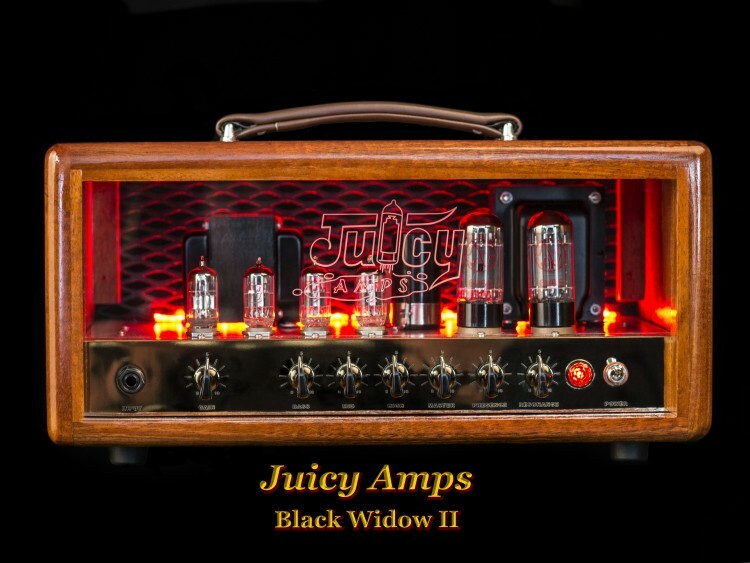 Click here for a short video demo of the black widow II in action.